Our Hamilton clinic is located in the intersection of York Boulevard and Queen Street North. There is ample amount of parking around the building and is wheel chair accessible. Our Cambridge clinic is located in the intersection of Franklin avenue and Pinebush Road. There is ample amount of parking around the building and is wheel chair accessible. BE IT AN INGROWN TOE NAIL, SKIN INFECTION OR HEEL PAIN. BY SEEING A CHIROPODIST, YOU ARE PUTTING YOUR FEET IN THE RIGHT HANDS. ASSESSMENT, MANAGEMENT AND PREVENTION. THE CHIROPODIST PROVIDES PODIATRIC BASED FOOT CARE IN A PATIENT CENTRED ENVIROMENT. WE HAVE A WIDE SELECTION OF COMFORTABLE ORTHOPEDIC FOOTWEAR. LET OUR SPECIALIST FIND YOU THE MOST SUITABLE AND COMFORTABLE FOOTWEAR. AFTER A BIOMECHANICAL AND GAIT ANALYSIS, THE GOLD STANDARD OF PLASTER OF PARIS CASTING IS USED TO PRODUCE A THREE DIMENSIONAL PROFILE YOUR FEET. 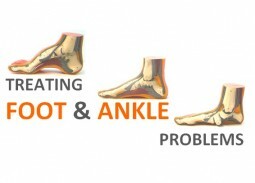 Welcome to YORK FOOT HEALTH AND ORTHOTICS CLINIC. OUR MISSION is to provide medical foot care in a patient centred environment. We are committed to fostering the highest standards in health-related education. WHAT IS YOUR FOOT HEALTH? Your feet carry you over a lot of ground. As you walk, the toes, nails, joints, muscles, bones and skin of your feet may suffer from wear and tear. The skin and toenails may become thickened, infected or sore. The joints, muscles and bones may become painful. If untreated, these problems can worsen. And if your feet hurt, your whole body may suffer. Common foot conditions, foot deformities, infections and injuries can restrict your daily activities and limit your mobility. Individuals with diabetes, arthritis and vascular complications to name a few will benefit from Chiropody care. These conditions can impact our knees, hips and other parts of the body. With proper foot health, foot problems can be prevented. If you suffer from a foot problem, a Chiropodist can help relieve your pain and symptoms.